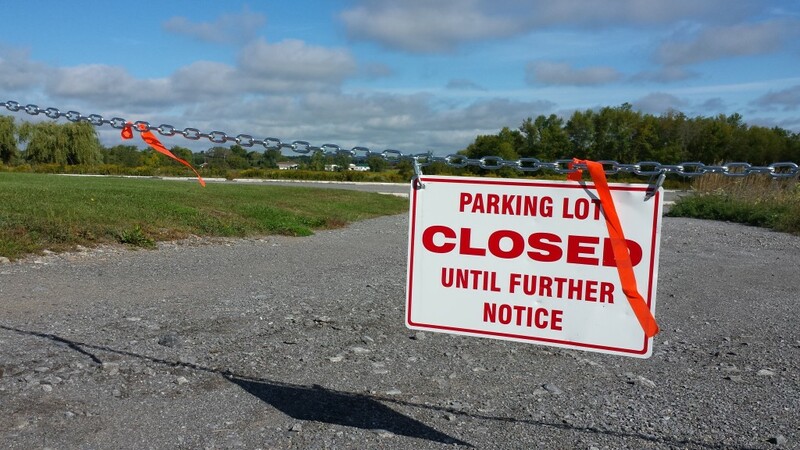 BELLEVILLE – Frustrations among students have risen with the closing of the parking lot at the north end of Loyalist College. Students discovered that the lot was closed to their cars when they arrived this month for the start of the academic year. The lot was initially created to replace spaces that were removed due to major construction in 2010, according to Mark Kirkpatrick, director of facilities and information technology services at Loyalist. Many permanent parking spaces were temporarily removed during the construction and lot P10 was created to replace those lost spots. Kirkpatrick said it was determined by the facilities team this summer that Loyalist had enough parking, making P10 no longer necessary. “Currently there are no plans to reopen parking lot P10. However, we are constantly monitoring the current parking levels,” he said. Loyalist student Justin Toppings says he dislikes the current parking situation at Loyalist and predicts it will continue to get worse with the closing of parking lot P10. “We have more kids here than ever and we’re not guaranteed a spot, but we still have to spend $150 on a spot. I think that is ridiculous,” he said. Fellow Loyalist student Matt Clark shared Toppings’s view of the parking situation. P10 is the closest parking lot to the college’s School of Media, Arts and Design. Kathleen Bazkur, the acting dean of the school, says she loved the convenience of P10 and shares student disappointment in losing it. The future of the lot is something she is still unsure of, she said. With a new crop of students scheduled to start college in January, “I would hope they would re-evaluate the number of spots,” said Bazkur. What do you think about the lot being closed? Post a comment below.